Makes no difference whether it’s your first time or your 21st. Those stepping off the plane in Manila often do so with visions of “oh the traveling” they will do, only to be wooed by the neon lights each night. Waking the next day with a hangover was not on the itinerary. But there’s always tomorrow. A few San Miguels over breakfast and you start to feel whole again, so you ponder on which it will be… up to Baguio for the rice terraces or over to Puerto Galera for a bit of diving? Some 24 hours later you find yourself still weighing these options after a repeat performance of the first night. But there’s always tomorrow. Alone in the departure lounge, waiting for your flight home to begin boarding, you convince yourself that next trip you’re going “National Geographic” and seeing everything. Take a bit of comfort in knowing that this is the norm more than it is the exception. You are not the first this has happened to. Nor will you be the last. What follows is an attempt for those looking to break this cycle, though. No matter what your age or nationality, most people at least vaguely recollect “hearing something” about Corregidor either in school or on the History channel. It is the what, where, and why that eludes. So what is it? A small island located strategically at the mouth of Manila Bay, Corregidor is perhaps best-known as America’s “last stand” in the Philippines during World War II. Its resistance and fall to the Japanese—and its eventual liberation—are well-known to most history buffs. Daily tours are available via Manila’s CCP Bay Terminal, located in Ermita off Roxas Boulevard. Note: Many cab drivers will have difficulty finding the terminal. As such, it is probably best/easiest to state “Star City” or “CCP” as your destination and then guide them in via a saved copy of the location map on your phone (if need be). So is Corregidor worth the time and effort? Absolutely. The tour is perhaps the most professionally run attraction there is in the Philippines. Even those not that interested in history will come away impressed, and most likely with a newfound level of respect for the history, the people, and the country. Travelers will assume, like with most things in the Philippines, that it is enough just to show up, pay, and get on. Not so. Book in advance. This cannot be stressed enough. I have watched many walk up only to be turned away. You are getting up at an ungodly hour in the morning to go to a rather remote area of the city, so why risk not getting a ticket? Book in advance. Ticketing opens at 6 am. Be there by then or shortly after. Even those with reservations already paid for risk being denied boarding if they show up after 6:30 am. The island served a number of functions under Spanish rule, but it was not until shortly after the end of the Spanish–American War (1898)—which saw the Philippines, Guam, and Puerto Rico ceded to the United States—that Corregidor’s location at the entrance to Manila Bay was fully utilized. Spain was paid US$20 million for the entire Philippines archipelago. 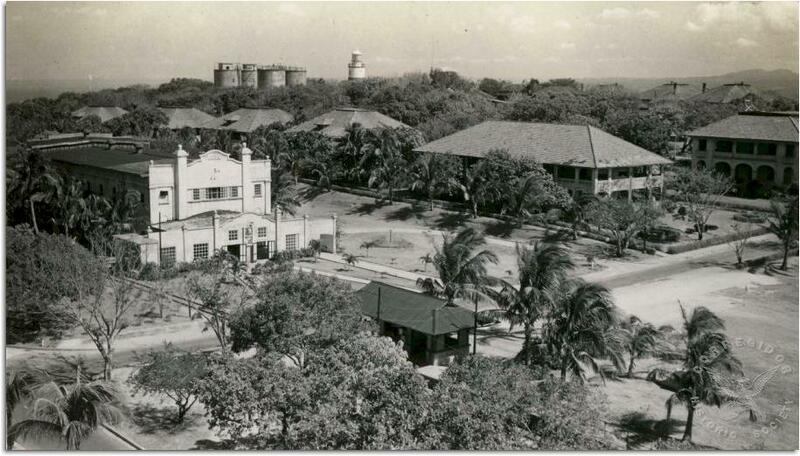 Approximately US$150 million was spent on the fortification of Corregidor. Touring the island is done by tranvia, which has been modeled after the original electric trolley system that serviced Corregidor from 1910 up until December 1941 (when heavy bombing severely damaged the rail system). Depending on visitor numbers, several of these tranvia are in use daily, each with its own route around the island so as to avoid crowds as best as possible at many of the sites. Bottled water, sodas, and snacks are available for purchase on each. Construction of this gun emplacement began in 1904 and took 10 years to complete at a cost of US$113,000. Consists of four 12-in (30-cm) mortars, each capable of sending a 1,000 lb (450 kg) deck-piercing shell or a 750 lb (350 kg) high-explosive shell nearly 8 miles (13 kilometers) in any direction. 14 men were required to operate just one. The invention of modern aircraft, as well as advances to naval gunnery and ship design, rendered these largely obsolete by the end of World War I (1918), yet they proved deadly against Japanese troop placements on Bataan during World War II. Designed as an east–west passage for the island, as well as a bombproof shelter, construction of the tunnel began in 1922 and took approximately 10 years to complete. With some 400 ft (120 m) of solid rock above it, the tunnel offered protection almost absolute from both artillery and aerial bombardment. Although equipped with blowers to provide and circulate fresh air, conditions inside the tunnel were described as moist, poorly ventilated, and more or less unfit for habitation. The morale of those within the tunnel—said to number over 4,000—was lower than anywhere else on the island. As the tranvia pulls up to its entrance, the tour guide will mention that there is an optional “light and sound show” for ₱200 (US$4). Put aside images of some cheesy laser show complete with smoke effects. This is more a walkthrough audio–visual presentation than anything else, and well worth the additional fee. The main tunnel is 836 ft (255 m) long and 24 ft (7 m) wide, with a total of 24 lateral tunnels, each of which averages 160 ft (49 m). Serving as headquarters for the the U.S. Army Forces in the Far East (USAFFE) as well as the seat of the Philippine Commonwealth Government, the tunnel complex also housed a 1,000-bed hospital. Collapsed lateral tunnels are not the result of any bombardment. Rather, they are where Japanese troops blew themselves up inside the complex rather than surrender during the island's retaking by Allied forces. Lunch is a buffet served at the Corregidor Inn. Unless beer is on your mind, save yourself a little cash and purchase whatever drinks you want from the tranvia once you pull up. Prices are about half of what the restaurant charges. Most of the tour guides will tell you this as well. Patio seating is somewhat limited so if you want a view and some breeze perhaps try to get a table prior to queuing up at the buffet. While most can be taken in on a day tour, an overnight stay is strongly recommended. Doing so allows you to view sites at a more leisurely pace as well as explore sites overgrown and less visited. Corregidor Inn has 31 rooms and is basically the only game in town. Several cabanas are available, but these are not as idyllic as they might sound. Remote, no nearby food or beverage, and shuttle is only hourly. As well, finding info on availability and booking (either from staff or online) is near impossible. The few alternatives are priced the same (for poorer accommodations) or cheaper (for much poorer accommodations). Located at Topside next to Mile-Long Barracks stands the island's pre-war movie theater. Feature films were shown to military (and their families) stationed on Corregidor weeks before they were premiered in Manila. Three stories tall and capable of housing 5,000 soldiers, the building was the world’s longest military barracks. Commonly known by its “mile long” moniker, the barracks are actually closer to 1/3 of a mile (0.5 kilometer) in length. 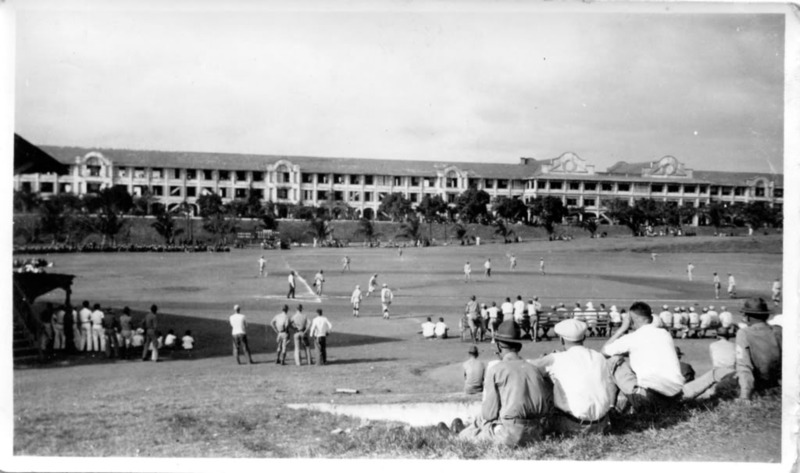 Served as home to American officers and enlisted personnel as well as headquarters to General Douglas MacArthur. Topside is the largest part of the island, and as such has the most to see. Those staying overnight have the luxury of revisiting this area and exploring it more fully at their own pace. If just on a day tour, however, you might want to consider spending minimal (if any) time at the Eternal Flame of Freedom photo op and instead take in as much as possible at the Pacific War Memorial Museum and then stroll around Cine Corregidor, the old Army post headquarters, and (time permitting) bachelor officers' and senior officers' housing. Construction of this gun emplacement began in 1907 and took two years to complete at a cost of US$213,000. The emplacement is made up of two 10-in (25-cm) “disappearing guns,” so named because of the special carriages that they were mounted on, which would rotate the artillery backwards and “disappear” from view after firing (most often behind a concrete parapet). The usefulness of this was rendered almost nil after the advent of modern aircraft, and as such both were knocked out of service rather quickly during World War II. Stating that he and his family would "share the fate of the garrison," it was only after repeated orders from President Franklin Roosevelt that MacArthur agreed to depart Corregidor. It was here, on March 11, 1942, that he (with family and 13 staff) boarded a PT boat bound for Mindanao. From there, the group was flown to Australia, as MacArthur had been tasked with its defense. En route it was learned there were far less troops awaiting his command than he had been led to believe. Relief to the Philippines would not be forthcoming, and " I shall return" became his mantra until Allied forces came ashore Leyte on October 20, 1944. Lunch buffet at Corregidor Inn is included in the day tour. For those staying overnight, dinner and lunch the next day are on you. Rather than eat at the hotel for every meal (and what is basically the same menu), walk down the hill to McArthur’s Cafe (across from Lorcha Dock). The menu here is rather large, consisting mostly of local dishes—you can never go wrong with chicken tinola or adobo—but also available are cheeseburgers and sandwiches if you simply must. And yes, the cafe has inexplicably misspelled the general’s name. Not a part of Corregidor, but simply too interesting not to mention. The island was razed to below sea level and then built back up in 1909. Resembling a World War I battleship, its walls were reinforced concrete approximately 30 ft (9 m) deep. Impregnable, no one was killed there during its defense of the Philippines and the island was never taken. Its four 14-in (36-cm) turret guns were still firing just minutes before full surrender of the Philippines after Corregidor's fall. Deteriorating badly, and steadily stripped by scavengers, visitors are no longer allowed access (for safety reasons) to El Fraile. Depending on time of year and weather permitting (think summer), it might be possible to arrange for a banca boat to take you across the bay for a closer look. On Corregidor, ask the front desk staff regarding this possibility. From Manila, it is best to depart from either Ternate or Maragondon in Cavite. Just walk along the boats docked by the marketplace and ask a few fishermen.